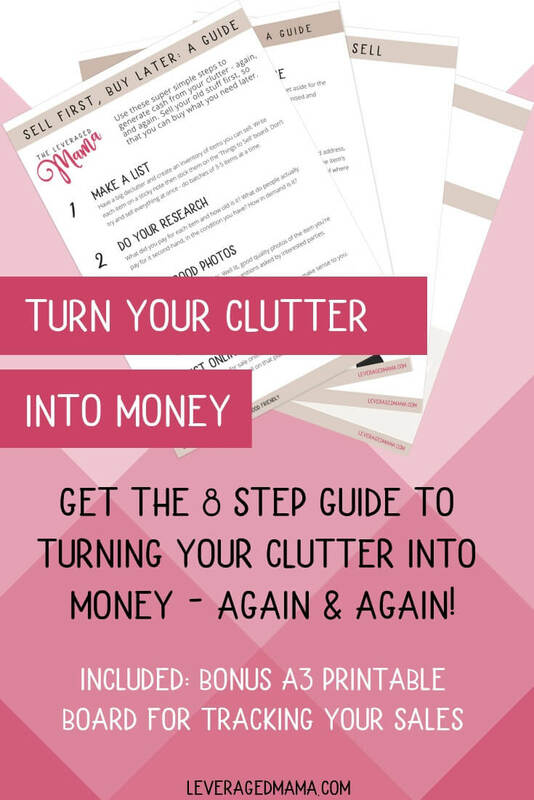 This isn’t just a post about turning your clutter into cash. I’m going to take a big step further and show you how to turn clutter into multiple income streams! I know how because I've done it myself. Curious? I’ll bet you are. I’ll crack on. I started at the bottom, depressed with no money. It was the middle of winter a few years ago, and I had post natal depression (PND). 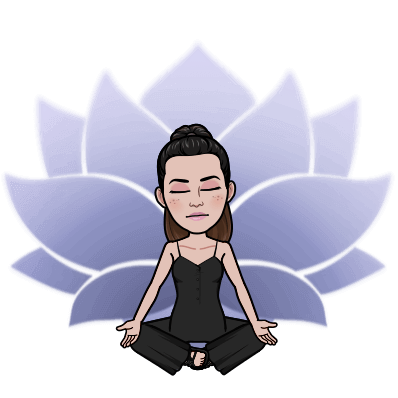 I’d say the PND was partly caused by the mountain of consumer debt I was slowly paying off, and partly caused by the total exhaustion I was experiencing – trying to unsuccessfully juggle a career and motherhood. I had dreams of creating a business that would allow me to work from home – or anywhere. I wanted to set my own schedule and not have to worry about pre-school/school drop offs, having enough annual leave to cover the school holidays, or enough sick leave to cover the inevitable illness that goes with school attendance. But there was no extra money to create a business. I knew I’d need a chunk of cash to get set up, and I knew I had a LOT to learn. I’d already tried – and failed – to set up profitable businesses before, and I wanted to do it right this time. How do you build a business with no money? Thankfully, this was around the same time I discovered Allie Casazza – who kick started my ‘clutter to cash’ cycle (a key tool in the Leveraged Mama tool-kit). Allie has a similar backstory to me – she found herself quite miserable and overwhelmed in her motherhood (she’s a mom of four! ), but found her salvation in decluttering. She now teaches others how to reduce the overwhelm by decluttering. One of her early students was me! And one of the key learnings I took away from Allie is that clutter steals your attention. Every single item that you have in your home requires your attention – whether it’s passive (thinking about cleaning it, fixing it, or how much you hate it haha), or active (actually cleaning it, fixing it, moving it out of the way, getting it out and putting it away, hell just FINDING IT can be both a mental and physical drain right?). If you have a house full of stuff then how much of your headspace is taken up with passively thinking about all that stuff? How much of your time is spent taking care of that stuff? Decluttering doesn’t just focus on having stuff you don’t need or use, it focuses on how much of it is visible at any one time – and if there’s a useful reason for it being there, or not. On Day 1 of doing Allie’s course I had cleared ALL the surfaces in the house (you’d be surprised at how many there are – check out the top of your fridge!). Just from doing this one thing, I felt immense calm looking around my home. I was no longer greeted by a clutter magnet upon arrival home (my kitchen bench). Instead I felt calm and settled looking at clear spaces! It made an immediate difference. Reducing the overwhelm allowed me to create the space I needed, to start my new business. Much of the results of my decluttering is given away. I have a great hand-me-down cycle set up for my daughter’s clothes and shoes. Yet through decluttering I’ve still been able to strike off a number of lines in our budget using a very simple “Sell First, Buy Later” principle. If your kids needs new shoes, you need to sell something first…. you get the picture. I have a major motivator to sell my old stuff! This works really well for us. Because of that hand-me-down cycle, we don’t need a lot, often. And because I don’t feel pressure to dress myself or my daughter in new/designer/trendy/expensive clothing, we don’t need a lot of money to restock our wardrobes. Stuff for the house – if it’s a small to medium cost I can definitely use the “Sell First, Buy Later” principle to generate cash. If it’s a larger purchase I still do it, but we may need to use savings for the rest. For example, I just sold my daughter’s cot and all of the linen, to generate some cash for a new bed. This generated about 25% of what we needed for the bed! Decluttering helped not only to clear my headspace – I saw it was a physical manifestation of ‘clearing out the cobwebs’ in my brain – but it actually presented me with a whole heap of stuff I had a huge emotional attachment to, but in reality I no longer needed. And some of that stuff had some value. I was sitting on a LOT of photography gear. I had amassed quite a lot over the years, photography being my dearly loved hobby (which I turned into a business for a short while). So I decided – quite painfully, to sell most of it, in order to generate some cash for my new business idea. The proceeds of my decluttering gave my business a real kick start. I joined a business school for mums, did an few other marketing courses, set up a mailing list in ConvertKit, and set up this website! I’m now earning multiple income streams from this new business – totally based on the proceeds of my decluttering! I now have a ’stuff to sell’ board stuck to the side of the fridge, that keeps this cycle going. Selling stuff takes a little bit of work – which is why most of us don’t do it! We just amass clutter because we’re too busy to deal with it – contributing to our feelings of overwhelm. So I suggest doing it in phases, with clear steps to each phase. Click on the image to get the free printable downloads. How do you turn your clutter into multiple income streams? Free up more money in your budget to create other income streams, by selling on stuff in order to buy more. Are you serious about decluttering? If you’re keen to do a serious declutter, and pick up some life-changing skills, I highly recommend joining me on Allie’s course. She’s kindly given me a coupon to share with you, if you’d like to inject some major inspiration and motivation into your decluttering efforts. 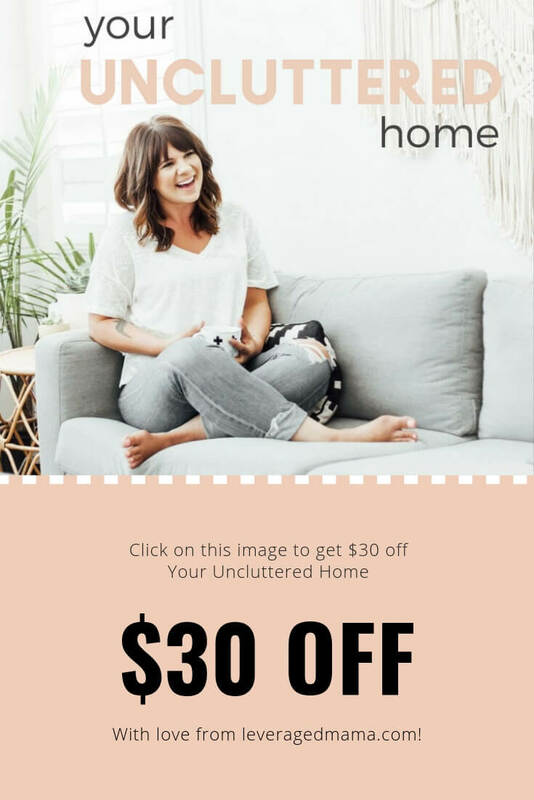 This coupon will get you $30 off the Your Uncluttered Home course – “a room-by-room guide to de-cluttering for the mom who’s tired of cleaning up”. Bonus checklists, worksheets, interviews, videos, and so much more! Having done this course I can tell you that one thing Allie ISN’T minimal on is life changing advice. I was quite surprised at how much of her advice was completely commonsense – yet I’d never thought of it! My question for you is – how much of your clutter could be generating income for you? Are you literally sitting on a whole pile of cash?? 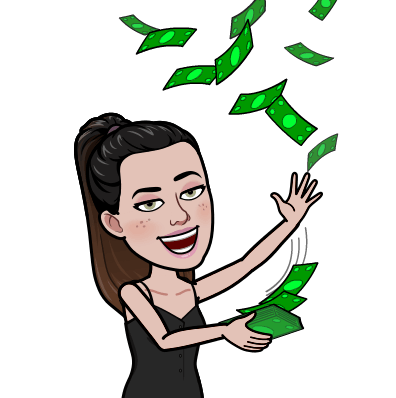 Just like we talked about in an early post: Mama’s, you can afford to start investing today, Mama – you can afford to start creating multiple incomes streams today too – if you wish. I started this journey in major debt and depressed. We can do iiiiit. Great post! In addition to all the decluttering wisdom you shared, my favorite line is near the bottom: “Mama’s, you can afford to start investing today.” Yes, yes and triple yes. Did you know that only 20% of men die single while 80% of women die single? That means that most of us are going to spend some time in our lives managing money on our own. We have to make sure we grow our wealth and that we have enough to take care of our future selves! Oh my gosh that’s a scary statistic Debbie! Perhaps that line should read: Mama you can’t afford NOT to start investing today! Love this. As mum’s it can be really difficult to invest in yourself as you’re either skint or can think of a hundred other things to spend it on. I love the idea of transforming your clutter into a wee start up fund. Love this Peti, thanks for sharing. Time to declutter! I’ve recently done a decluttering exercise at home and feel so much better for it – still have a way to go though and can still sell stuff so I’ll try your download for sure! I’ve recently been listing wardrobe items on trademe for sale having lost a lot of weight. After reading you blog I am thinking I can take this a whole lot further! Absolutely! And what a great impetus for a spring clean Paula! This is a great way of thinking! Thanks for the inspiration! This is awesome Peti – I get fits and bursts of motivation to declutter (living in a small 2bed house and running 2 businesses from it means space is at a premium), and while I am definitely on my way – there is always more that can be done! This was just the inspiration I needed to start selling stuff again (you are right, it takes time and effort, but it’s a win-win if it sells!). I am going to check out Allie’s course too…sounds exactly like what I need. Oh no that’s no good Leah! I wonder what webinar software she is using – I’ve seen that myself before – can’t skip ahead, can’t replay etc. This is great Peti. I really like the ‘sell first, buy later’ concept. Like Bronni I am keen to know where you sell your stuff. I have a garage full of stuff that we need to declutter. You’ve inspired me to sell it rather than just give it away or, dare I say it, dump it.